New Delhi : The chief minister of Delhi and Aam Aadmi Party (AAP) chief Arvind Kejriwal said on Tuesday after taking people’s opinion on the budget that, The government of Aam Aadmi Party has decided to involve common people in making Delhi’s budget for 2015-16 so that financial allocation can be made based on requirement of various areas. Chief Minister Arvind Kejriwal said that, “We have decided to ask the people how their budget should be instead of allocating money to various departments. We will chose 5-10 assembly constituencies for the initiative. Their feedback will then be discussed in the House." 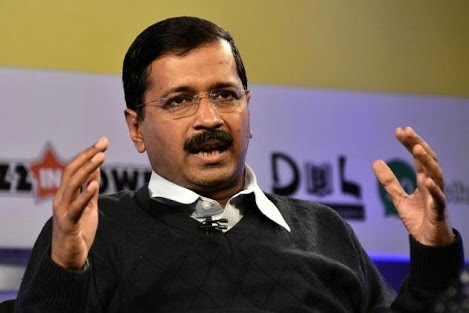 Kejriwal said people should have a say on how the funds are spent in their areas and the initiative was an effort to involve the citizens in governance. “Budget will be made based on need of the people. We will start the initiative on a pilot basis,” he added. The first session of the Delhi assembly began on Monday with chief minister Kejriwal and other MLAs taking oath, almost two weeks after their resounding victory in the polls. The eyes of 20 million people of Delhi are fixed on the new CM. After being voted to power with a huge majority, Kejriwal would now have to deliver on crucial electoral promises that are based on the Aam Aadmi party's 70-point plan, a part of its poll manifesto.